We intergrated 72 application occasions in the program,so can change all zones Sensitivity when you choose different occasion. Loop scanners can be used for different occasions, to offer security in the most overwhelming security-tight situations, especially where large numbers are under surveillance. Logistically, systematically and technologically advanced, Loop Scano 800 security doors/scanners will give any event holder or institution with utmost peace of mind. Loop Scano 800 is as advanced as it gets. Security systems have one ultimate task; to work as efficiently as possible because data (people) needs to be processed and information needs to be uploaded frequently. Loop Scan 800 does just that. With an advanced system that can detect up to 60 people and process that information within a minute. This system has no “blind-spots’’. These are areas that would otherwise go undetected for reasons such as distance around the said system, in this case a security door, or the amount of people going through the door at any given time, and thus, the system missed one or two individuals and instead picks up fewer. The Loop Scano 800 has NO blind spots. 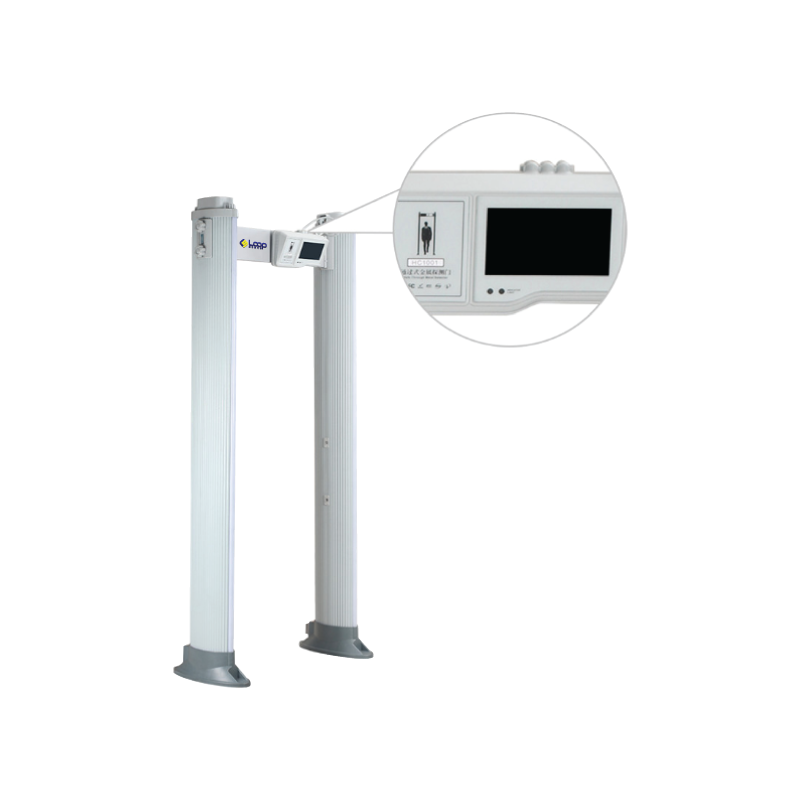 It has an advanced, EVEN technological system, scanning all areas within its radius according to the user’s settings; settings which can be adjusted for more, or less sensitivity, depending on the user’s requirements. You can easily see how perfect this system is for large or even rowdy crowds. For example, this system would be a perfect setup for a concert, club or even a school. With most of these events, there is always a need for efficiency. People need to be scanned and sent forth as quickly as possible. 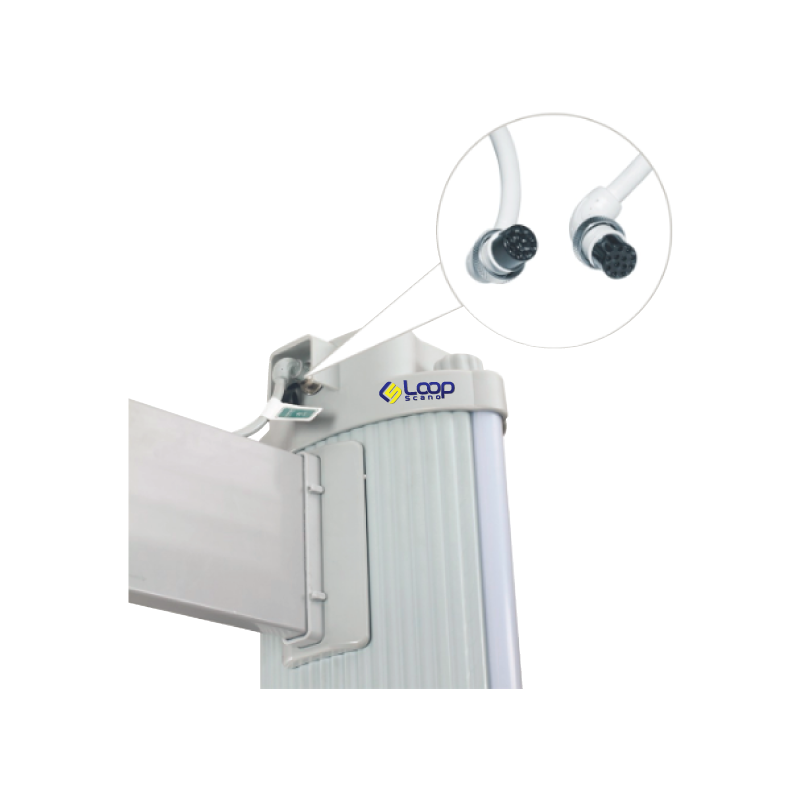 The Loop Scan 800 can be configured to different sensitivity settings, with alarms set in varying tones/sounds for different items scanned or different security threats of those items. For example, a small beep may highlight a knife or small metal piece while a siren in itself would point to something truly dangerous. The detection zones reach up to level 400 while the security is up to 100. The system’s sensitivity is thus completely adjustable. Logistics are always an issue with security and security infrastructure. 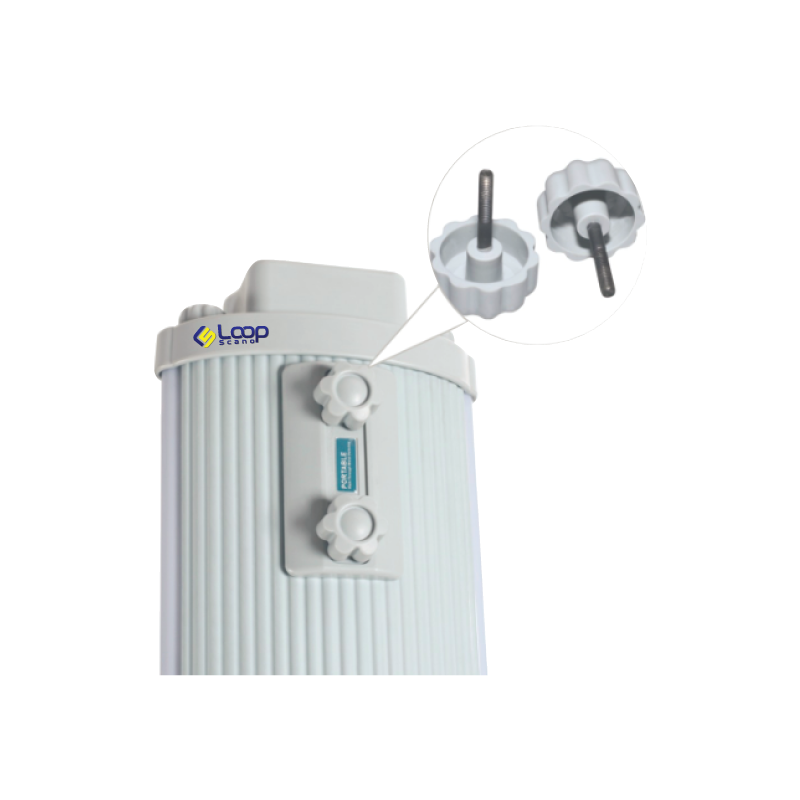 The loop Scano 800 security door weighs a mere 58kgs. That’s the weight of an average student or smaller adult. It is therefore; easy to maneuver from one location to another, whether it’s from the unloading truck or from one entry point to another. This security door has built in features that make it a joy to work with. Firstly, it has a working range, as far as temperatures are concerned, of between -20 degrees Celsius to 65 degrees Celsius. It can therefore be used in the most adverse conditions in Europe, Asia and even tropical climates within Africa. This security door is entirely waterproof. Add that to the fact that it has no blind spots and can detect upwards of 60 people, processing the data received within a minute, the standards that this system sets are unparalleled. Last but not least, the system hosts connectivity features that allow it to be configured, upgraded or adjusted remotely. It can also be connected to the internet for such upgrades while offering real time information uploads and downloads.